Winter is finally behind us, time to put away those warm woolies until next fall. Soon, the warm sun of summer will be here, warming our skin and encouraging us to spend more time outdoors. So, what better excuse could there be to take the opportunity and get in a backyard workout? We can’t think of a good reason not to. After being cooped up all winter, it’s freeing to be able to take your routine outdoors. Breathing in that fresh air your mood will be boosted, and your health improved. Being outside will give you time to think, relax and get away from the hustle and bustle of everyday life. It’s the perfect opportunity to relax your brain and give yourself some peace of mind. While, of course, almost any type of exercise will leave you feeling better, taking your activity outdoors could give you an extra feelgood boost; after all, think of that scenery. Whether you live in the country and your backyard is your actual private backyard or are a slick city dweller whose paradise is the park these are the best exercises you can build into your powerful backyard workout routine. No need for expensive equipment, the great outdoors is your gym today so use it wisely. Why not try out some backyard circuit training (natural equipment only)? Warm up with stretches, make you wake up every muscle group. Now it’s time to boost your heart rate. That’s right! Get some high knees in with 3 sets of 15 reps.
Next, find a tree with a solid branch. Make sure it can support your weight and get ready to do some pull-ups; aim for 5-10 to really feel the benefit (but even one is a good start). Look around for a flat bench, a small wall, or even some secure bricks that are about knee height; it’s time to get your step on. Step on and off your chosen surface with about 3 sets of 10 reps. Build your strength and endurance with this outdoor adaption of the plank. Find a fence or wall and get into plank position with your feel place firmly on the wall and your arms stretched out below your elbows. Hold for as long as possible. Strength-building done. Now it’s time for more cardio. Take a few laps around your chosen area, increase your heart rate, but don’t leave yourself out of breath. Finally, the cool-down. Relax your body with stretches, all the time breathing in deeply and out slowly. Perhaps you’re not so much of a circuit person. That’s ok too! If you’re a yoga lover, then it’s time to bring your body and mind to center and take your salutations outdoors. 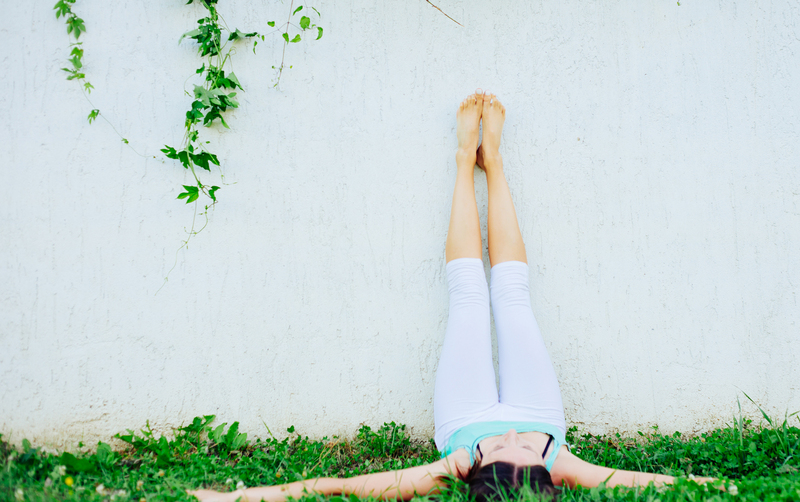 Try combining the following poses to create one nature inspired routine. As the new season starts, why not celebrate a new chapter in your life; letting go of the bad and negative experiences and starting afresh with some helpful mantras? Now for the fun part––forget all your worries, concerns and inhibitions; free your soul and leave yourself open to hope, joy and happiness. How? Well, it’s really quite simple…it’s time to dance. Turn up the music on your phone or music system and bust some moves. Who cares who is watching? 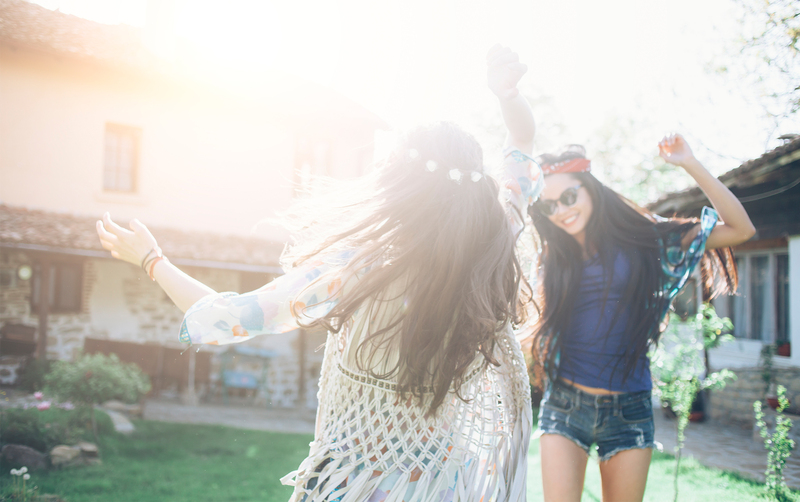 Dancing is one of the most fun cardio exercises you can do, so enjoy yourself and celebrate that summer is back again.